← Need a little loomy gift giving encouragment? We’ve been tossing around some excellent ideas during our Yahoo Loom Class Group session this week! 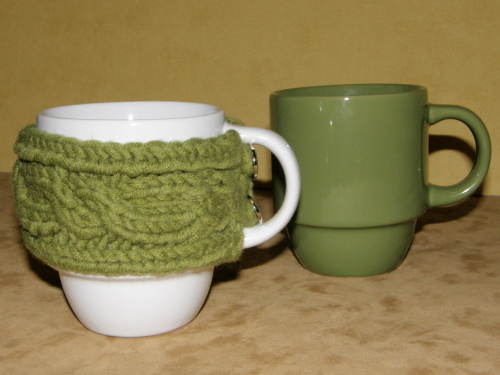 As I mentioned in the last post, we’re working on the Cabled Mug Hug (pattern available here, video tutorials available here). Repeat the pattern in width and you can make a Neck Warmer. 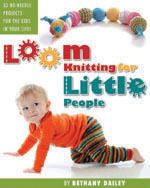 This entry was posted in Free Loom Patterns, Kids, Loom Alongs, Loom Knitting. Bookmark the permalink. I’m way past using it for this, but I think these would make really nice tampon or pad holders. I had no idea what otter pops were until I saw the pictures. We call them Freeze Pops out here. Great idea though! I’m considering making one for when the tooth fairy comes! My boys can put their little pearlies in the pouch! Do you think it’s possible to modify this to make a wine glass holder? http://www.flickr.com/photos/indichick/2483009679/ or http://knittingnyssa.blogspot.com/2010/08/winelovers-wine-glass-companion.html or http://www.ravelry.com/patterns/library/wine-glass-holder ?